TMD (TMJ) or temporomandibular joint disorder, is a serious degenerative ailment that could have a significant impact on your daily life. 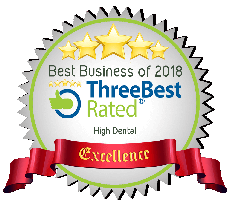 At High Dental, we treat patients for TMD on a regular basis. Here is some information on TMJ treatment options that are available. The first step to being diagnosed with TMD is to undergo an exam with your dentist if you exhibit symptoms of jaw pain or stiffness. Diagnosis is becoming more common for TMD and early diagnosis and TMJ treatment can prevent further degeneration of your condition. What Is The TMJ Treatment? The treatments for TMD will depend on the severity and cause of your condition. Sometimes, the solution involves a simple adjustment of your old fillings. Non- invasive occlusal splint therapy is also an effective treatment option. At High Dental, we can also image your jaw joint. A radiographic view of your TMJ can show us if there are growths or strictures which may hinder free movement of your jaw. High Dental is a TMJ specialist in Armadale, Melbourne. To get assistance with treatment for TMD, schedule an appointment with us today.